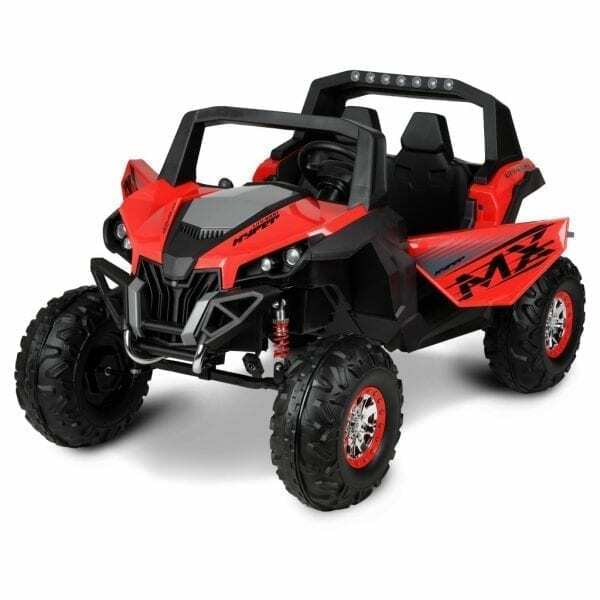 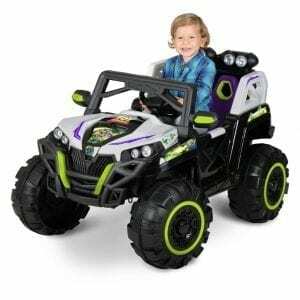 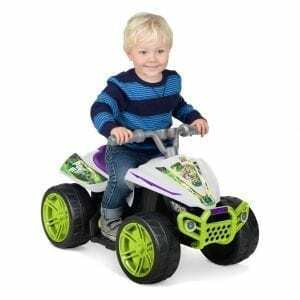 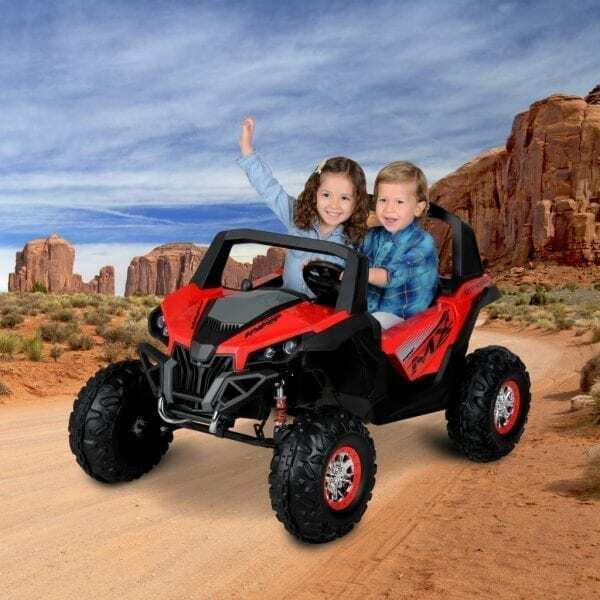 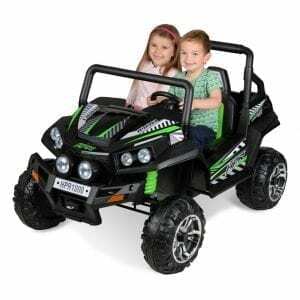 12 VOLT HYPER UTV 1000 The kids will enjoy all the great features of this Hyper 12 Volt UTV-1000 Ride-On including real doors that open and close, an LED light bar and suspension in the front and rear. 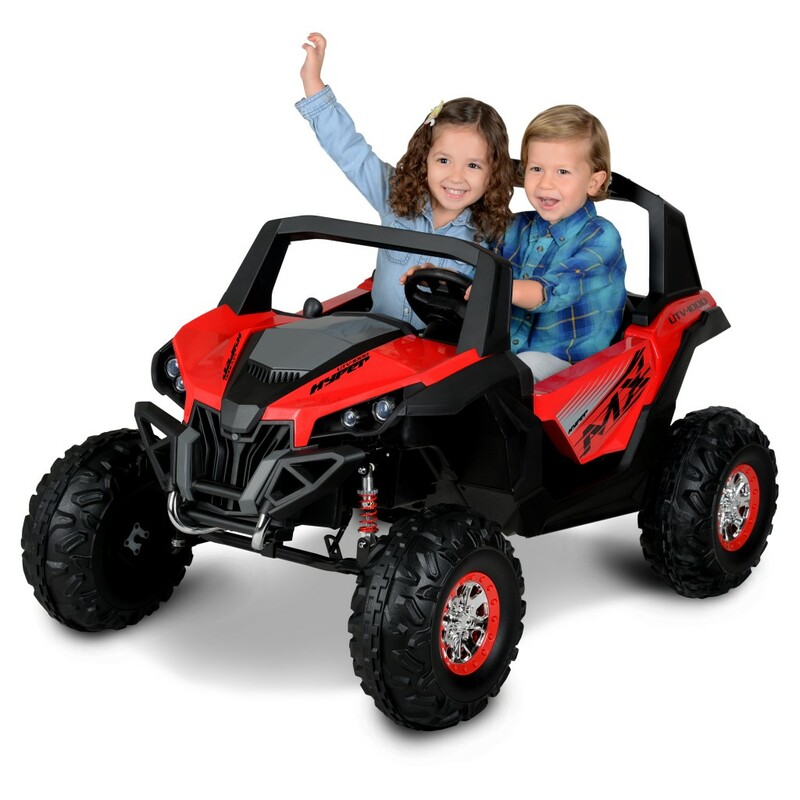 Two can enjoy the journey in this two-seat Ride-On while they tackle any terrain in the over-sized tires and authentic Hyper race graphics! 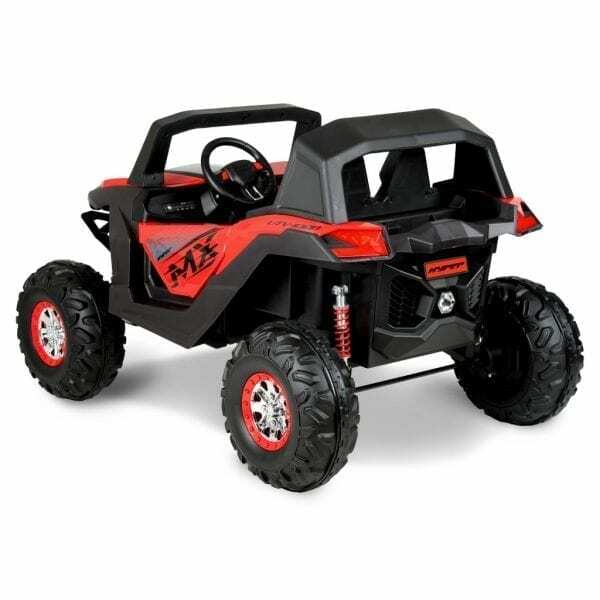 12 Volt Hyper UTV-1000. • Realistic Off-Road UTV Design! 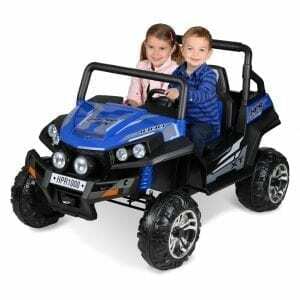 • 2 Seats for Extra Fun! • LED Headlights and Sound Controls! • Front and Rear Suspension! 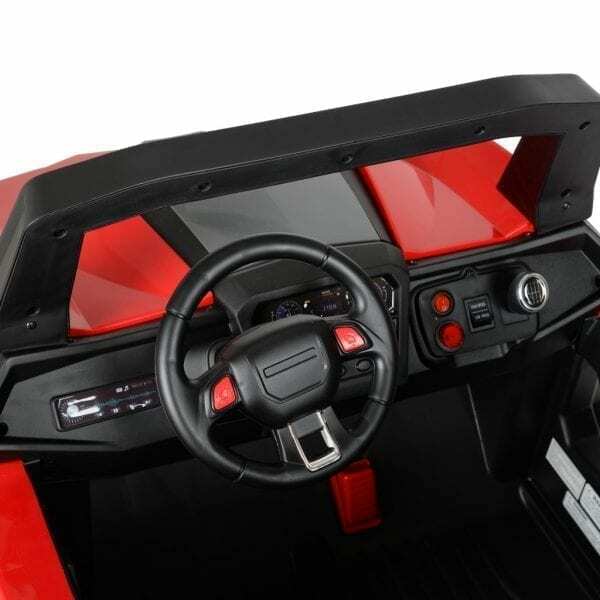 • Real Doors that Open and Close!